Our manufacturing facilities use the most up-to-date technology and are continuously being improved, thanks to new patented solutions, and the latest equipment (automated machining centers, CAD 3D workstations, micron-accurate control systems and automated assembly equipment). 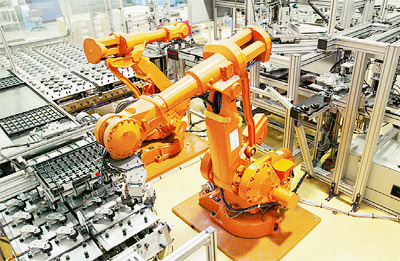 Through equipment modernization and the wide application of robotics TANAKI has acquired innovative computer-aided technology, including high efficiency and flexible manufacturing facilities characterized by their reliability, versatility and high production capacity. As a result product movement and positioning are accelerated, manufacturing continues on a round-the-clock basis without interruption or shutdown, since no equipment changeover is required during the production of a wide range of products. All that is needed to produce a different item is a change of the program in use by the production line. This allows us to respond quickly to new orders from customers and to execute these orders as soon as possible. 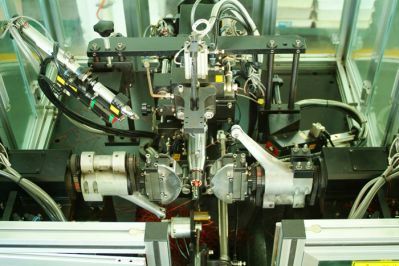 High-quality precision robots and automatic control over the manufacturing operations ensure perfect product quality. The elimination of human operatives reduces the possibility of human error to an absolute minimum. The level of technology and organization at TANAKI facilities is fully consistent with the requirements for businesses supplying spare parts to the OEM market (originalequipmentmanufacturers).